HIGHLAND, MD — Team BBC and the Baltimore Bicycle Works welcomed about 560 pre-registered racers to Schooley Mill park on Sunday for what shaped up to be another great round of cyclocross in the Bikereg Super 8 series. Many locals scraped frost off of their windshields for the first time this season while loading up their cars that morning. Brisk temperatures, overcast skies, and even a few flurries mixed in helped to set the mood for some great battles. 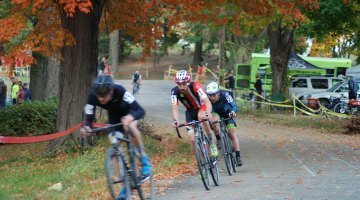 Race promoters made the most of the park land at Schooley Mill to dial up a challenging course that included two dismounts, and several off-camber turning sections connected by several long stretches of varying elevation. Add in a little wind, and this track favored riders who could lay down the power. Early in the day, many of the Masters and Juniors fields provided some of the most entertaining races and outcomes. August Milliken (Rock Creek Velo) notched his fourth win of the season in the U15 Boys race, continuing a string of wonderful results. In the Men’s 45+ race, Gary Rodosta (Pro Mountain Outfitters) took the victory over Jay Morali (Sportif Coaching Group) who was forced to finish the race as an impromptu one-legged drill when one of his pedals broke off of the crank arm between the pit and the finish line on the final lap. In the featured Elite races of the day, a second Rodosta win occurred in the women’s race when Traci Rodosta (Pro Mountain Outfitters) beat out Julie Kuliecza (Pepper Palace Pro Cycling) by 9 seconds, with Allyson Tufano (Sportif Coaching Group) rounding out the top three. In the Elite Men’s group, the decisive selection took place early with Nick Waite (Pro Tested Gear) and Greg Wittwer (C3/Twenty20 Cycling Co.) separating themselves from the rest of the field before two laps were complete. In the end, Waite would find separation and took the victory 15 seconds ahead of Wittwer, with Pat Blair (Adventures for the Cure) taking third. With that victory, Waite maintains his status as VergeSport jersey competition leader among the elite men. 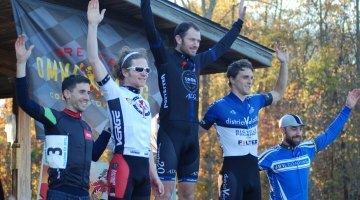 Full VergeSport jersey competition standings for all eligible fields can be found here at crossresults.com. Full race day results for Schooley Mill are available here. 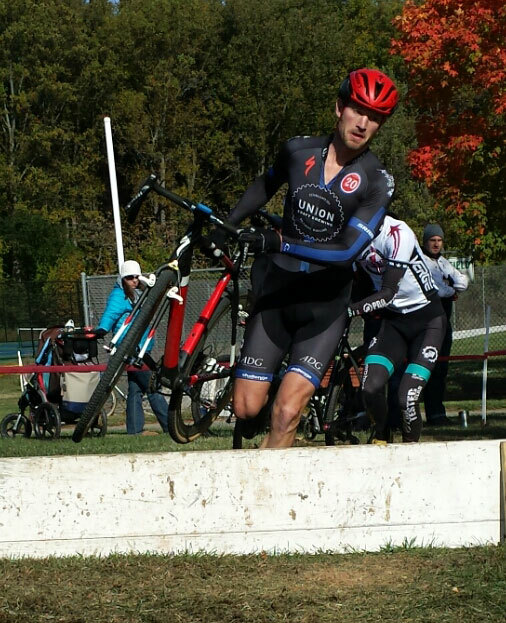 Series leaders will look to extend those margins this weekend at the first ever UCI-sanctioned cyclocross race in DC. 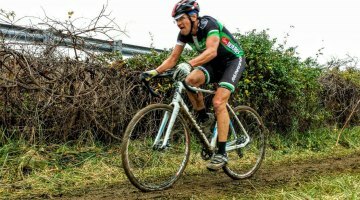 Crosshairs Cycling and DCMTB are teaming up again to bring back another edition of DCCX at the Armed Forces Retirement Home. As with last year, two full race days are on tap, with plenty of amateur and age-graded fields each day. New this year will be UCI elite races for men and women each day, with C2 UCI points up for grabs. Come for the racing, stay for the food and the beer! 4 Jennifer Maxwell (4 - Cat1) 41:34.4 Colavita Racing Inc.
10 Evie Edwards (5 - Cat1) 44:40.2 SpokesWomen Syndicate Inc.